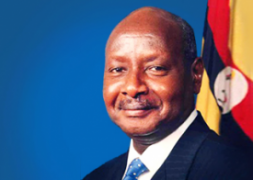 The power of the Executive Branch is vested in the President of Uganda, who also acts as head of state and Commander-in-Chief of the armed forces. The President is responsible for implementing and enforcing the laws written by Parliament and, also appoints the Cabinet. The Vice President is also part of the Executive Branch, ready to assume the Presidency should the need arise.